Program starts at 20:00, and consists of two 40-45-minute sessions, with a break in between. 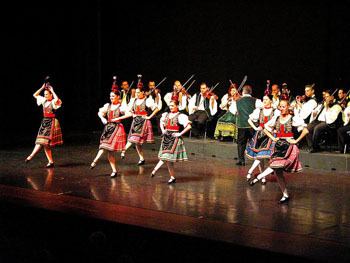 The performances are held in the elegant theatre hall of the historic Danube Palace (Pest city centre, Zrínyi utca 5.). 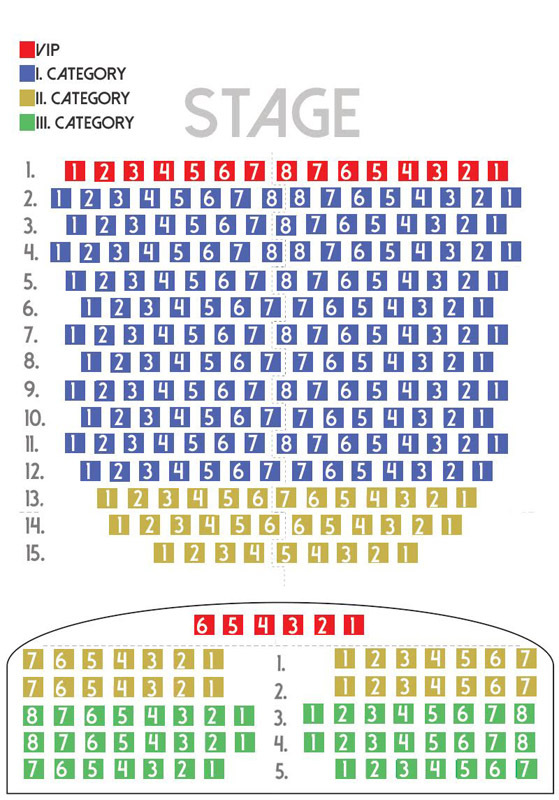 3. category: 23 EUR, student: 21 EUR View seat map! Payment with PayPal or Bank Card, Credit Card! No need to create PayPal accoun! You can book a taxi transfer to the concert venue and back to your hotel after the performance for plus 10 EUR. Note: If you book the concert with taxi Pick-Up Drop Off please be at your hotel’s reception 30-40 minutes before the performance starts. 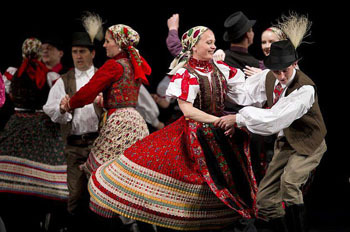 You can also book the folk performance with a Danube night cruise with dinner (starts at 22.00). Hostesses will accompany you to the ship after the folk program (cc. 4-5 min./200 m by walk). The two baths are open every day, all year, the Gellért till 20.00, the Széchenyi till 22.00. With your pre-paid ticket that comes with cabin use you can skip-the-line and enter the baths between 09.00 – 18.00 and stay till closing time. You can buy the tickets to the two programs for separate dates.